Where the square and the circle make peace, our Flat Earth design reconciles the ancient belief of a flat earth and her four corners into a modern design with elegant curves and soft corners. 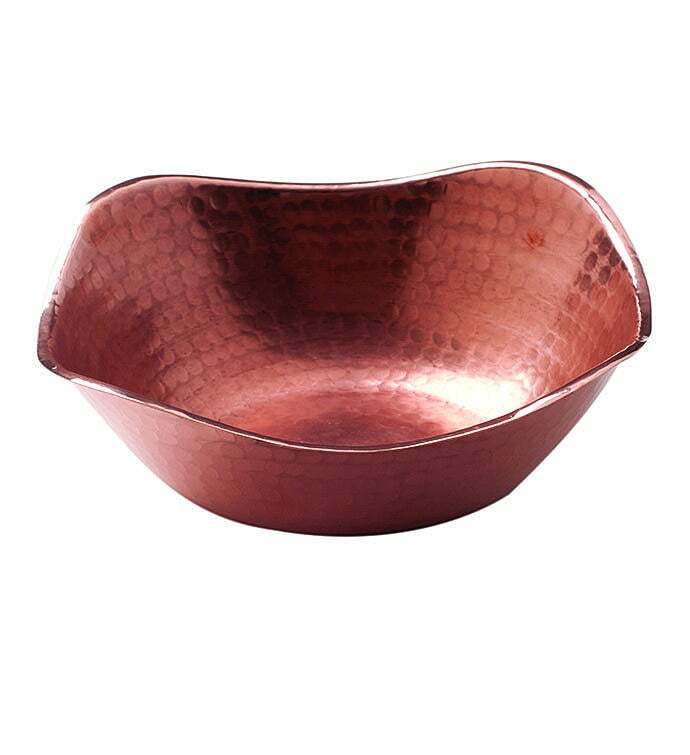 As a bowl or centerpiece, its functional elegance will last for generations. 7 inch square diameter. Our hammer polish beats shine, beauty and durability into every piece. Heavy gauge, pure copper from 100% recycled sources.